It is Friday evening, and the sun is about to set. If you are Jewish, you are probably getting ready to light candles, say blessings, and eat delicious food. What is the special occasion? It is the Sabbath, or the Day of Rest. The bible tells how God created the world in six days, and on the seventh day God rested. This day was called the Sabbath. 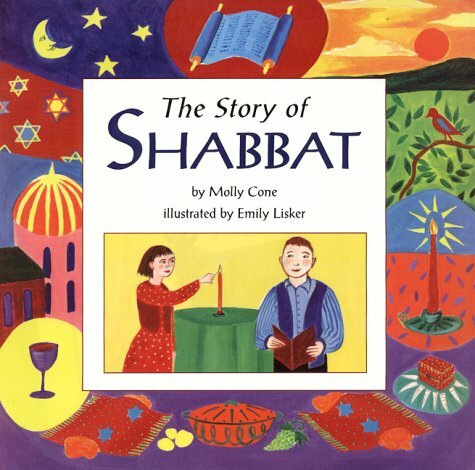 Molly Cone's clear, informative text and Emily Lisker's warm paintings present the cultural and historical origins of the Sabbath and the many meaningful traditions that are still practiced today. Instructions for making your own challah bread and challah cover round out this celebration of a very special day of thanks, rest, and renewal. Molly Cone is the author of more than forty books for children. Her Mishmash was selected in 1962 as one of the New York Times 100 Outstanding Books for Young Readers. Ms. Cone lives in Seattle, Washington, with her husband.